Here at Arianee, we are constantly exploring new methods of improving our platform and maximizing its potential. A large part of this process is making sure that we are always up to date with the most recent advances in blockchain technology. When we learned about Non-Fungible ERC-721 tokens (NFTs), we were able to identify their clear connection to luxury goods and implement them into our platform, simply because our team has been involved in the luxury industry for so long. In addition, we were able to take on the lead author of ERC-721, William Entriken, as an official advisor to Arianee, to guide us in NFT implementation. 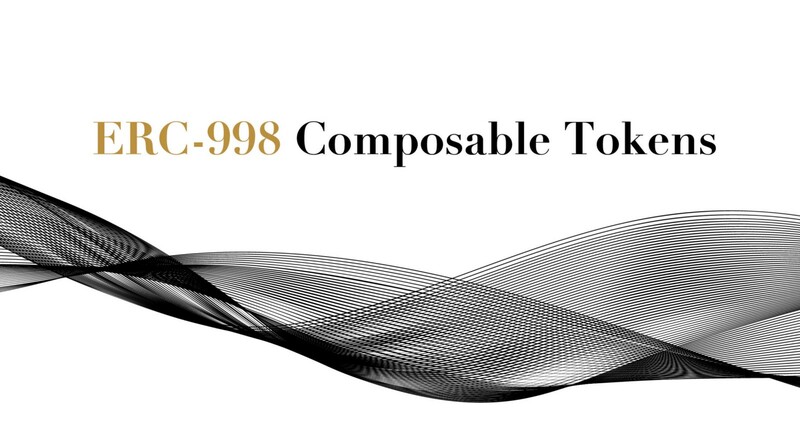 William is also actively involved in the development of the ERC-998 proposal, which introduces the concept of composability to the network. This article will explore the concept of Composable Tokens, a recent proposal to the Ethereum network known as ERC-998, presented by Matt Lockyer. We will define what they are, examine their potential use cases and explore how, or if, they can be used on the Arianee network. What are Non-Fungible Composable Tokens? Something that is composable means that it has the ability to combine things, parts, or elements. In the context of a composable token, it is able to represent more than one digital asset. 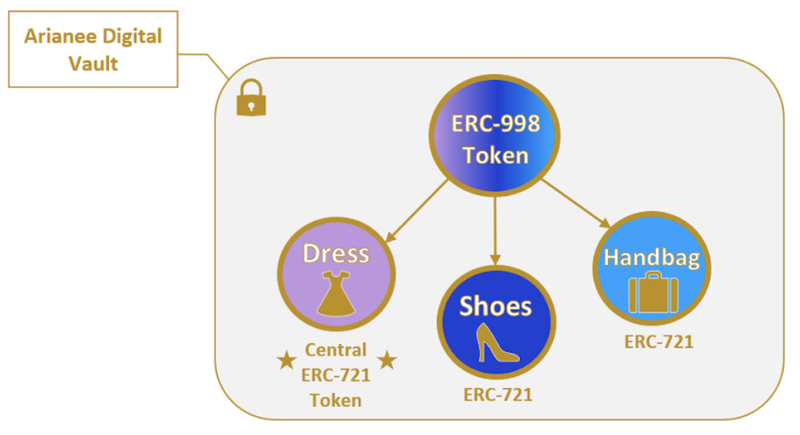 Different ERC tokens can be composed into a single ERC-998 token that can represent either a group of similar assets (ERC-20 tokens), an assortment of unique assets (ERC-721 tokens), or a combination of both, which can then be traded in a single transaction. This protocol essentially takes non-fungible tokens one step further, adding a new layer of complexity to digital assets. A single ERC-998 token can be regarded as a portfolio of digital assets. Let’s explore the different forms in which this relationship can be arranged. In this scenario, a single NFT is the central token, which can be supplemented with additional ERC-20 or ERC-721 tokens for a form of added value. The first use case that comes to mind in this scenario is a virtual avatar (the central NFT) that can be equipped with different digital items and accessories that add value or function (supplemental tokens) to the avatar. This added value can be based off of the time and effort, or purchases, that someone had spent in order to accumulate these items into a single entity. In the luxury space, this can be applied to fashionable “looks” or “packages” that group together different products from a brand to produce a complete outfit. In the example above, the central NFT is the dress, which is supplemented with shoes and a purse, each represented by their own NFT. The entire outfit is then composed into one(1) ERC-998 token. Many brands often employ celebrity ambassadors and designers to promote their products through these different “looks,” which can be sold in whole or in part by the brand. Owners themselves are also given some creative freedom to compose their own “looks,” which they can then transfer to an interested party through a single transaction, such as in a secondary market. As a form of added security, a single asset can be digitally represented by the sum of its parts using an ERC-998 token. Because each part is uniquely represented by its own NFT, the composition of all the NFTs involved results in one undeniably authentic product. However, each of these NFTs taken separately has virtually no value until it is combined with others to form the actual product. This is a very strong anti-counterfeiting measure that can be implemented for the more valuable goods such as watches and jewelry. Three components of a Rolex are shown in the diagram above, each with a separate serial number — the case, the face, and the movement arm. Taken separately, these parts have little to no value but together, they securely make up one authentic Rolex watch, represented by a single ERC-998 token. Anything that is generally regarded as a collection, such as a deck of cards, a book of historic stamps, a rare coin collection, etc. can be grouped together under one Composable Token. Therefore, complete collections can be represented by a single digital asset. Most luxury brands have recurring products in which they release a redesigned model for every year, which oftentimes become collectibles. Under the luxury strategy, consumers buy into brand heritage and lineage, which are both represented through their products’ evolution through the years. 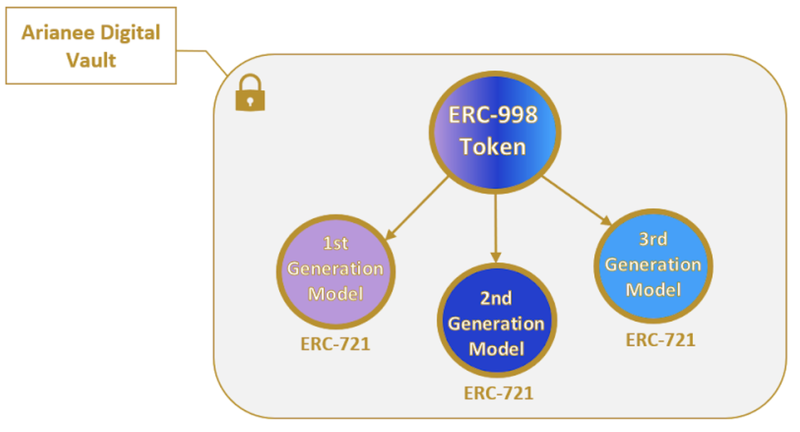 As a general example in the above figure, this brand released its first, second and third generation models over the course of three years, which were grouped into one composable token. Brands also unlock the possibility of further outreach to some of their loyal customers. For example, if an owner Smart-Links a composable token that represents their entire collection of a specific brand’s products, the brand will be able to reward that owner’s loyalty with exclusive invitations and offers. The sole purpose of this article is to provide a preliminary exploration into composable tokens and how they can potentially be used by Arianee at some point in time in the future. Blockchain is constantly evolving, and we are always looking into new technological advancements and methods of improving our platform, which is why we integrated NFTs into our protocol. Because ERC-721 emerged to be such a fundamental component of Arianee, the ERC-998 proposal was certainly worth taking into consideration. Our advisor William Entriken will be keeping us updated on the progression of this proposal. However, at this point, it remains simply a proposal — it has not been accepted or standardized yet, as it is still in the very early stages of its procurement. Building a digital identity on the blockchain for every object @arianeeproject . Instigator @sandboxers . Streetart watcher and injury-prone amateur triathlete.